Among the Chinese cuisine, soy sauce is one of the most important seasonings that are indispensable to every household, but do you know if the soy sauce you eat is healthy? 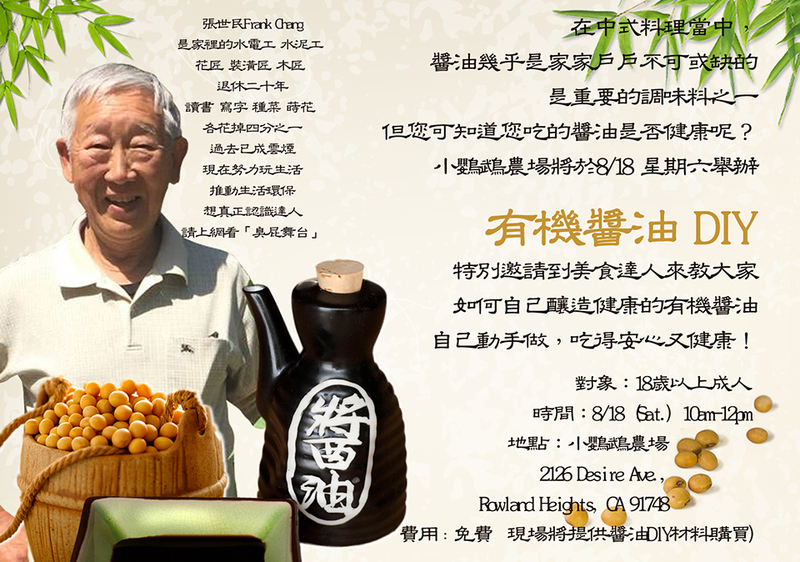 The Little Parrot Farm will be holding a soy sauce DIY on Saturday, 8/18 at 10 am. Join us to learn how to make healthy soy sauce yourself!